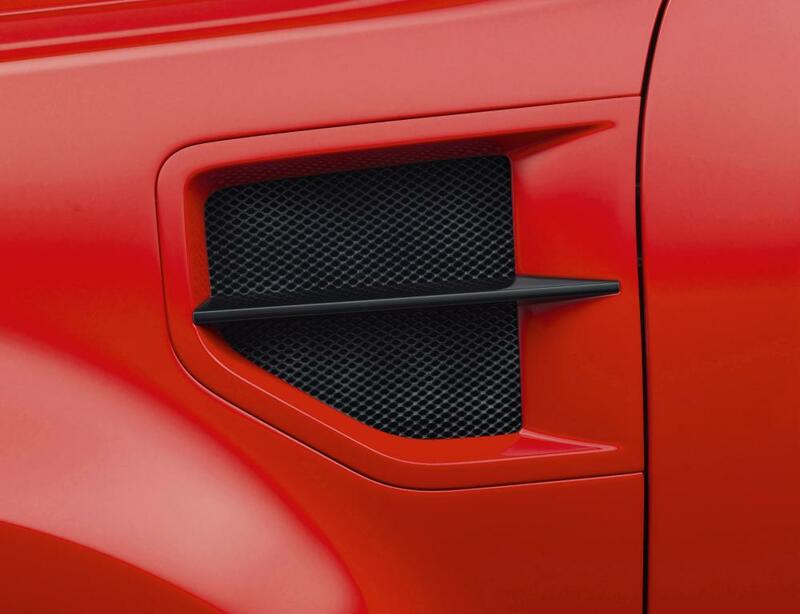 This truck was introduced at the New York International Auto Show in New York March 23, 2005. 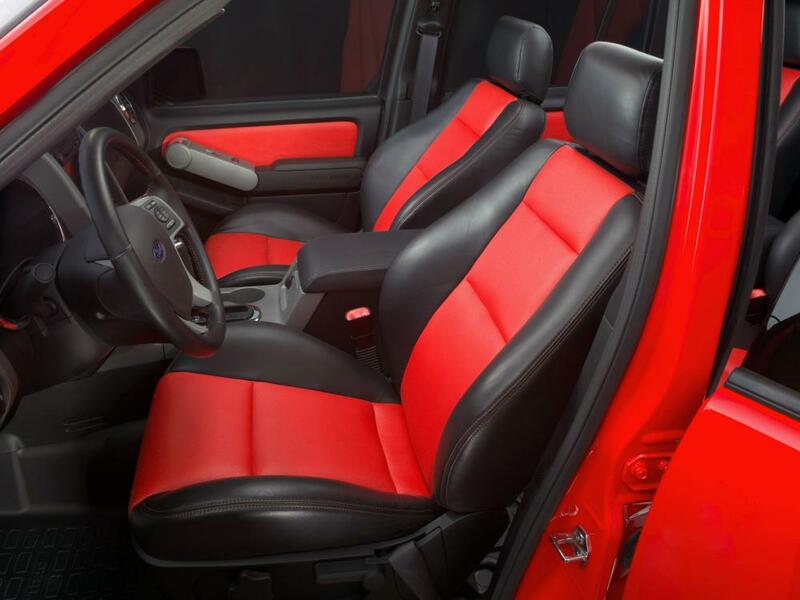 Making its debut at the 2005 New York International Auto Show on Wednesday, the Adrenalin is, according to Ford, the world’s first high-performance sport-utility truck (SUT). The truck being shown is a “teaser” preview of the production version due out in 2007. 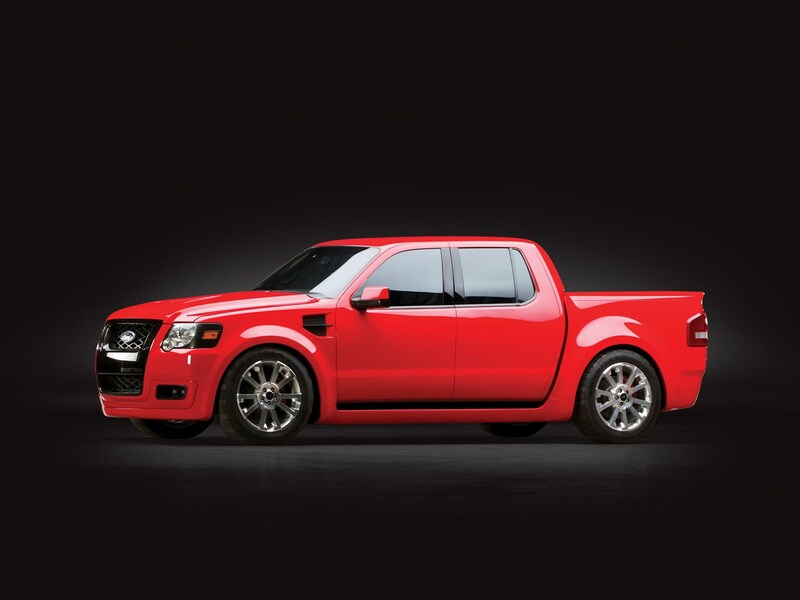 The Sport Trac Adrenalin follows the Explorer Sport Trac concept, which debuted at the 2005 North American International Auto Show. The “slammed” appearance and large wheels and tires on that Detroit show car was essentially a preview of what SVT had in mind for Adrenalin. 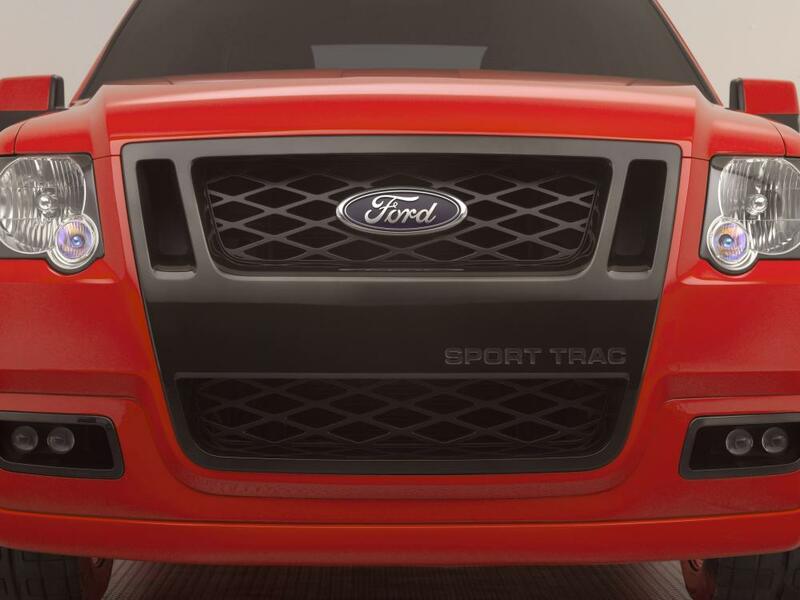 Larry Webster, technical director of Car and Driver magazine, agrees and said that using a lighter vehicle like Sport Trac as the foundation for a performance truck is smart. 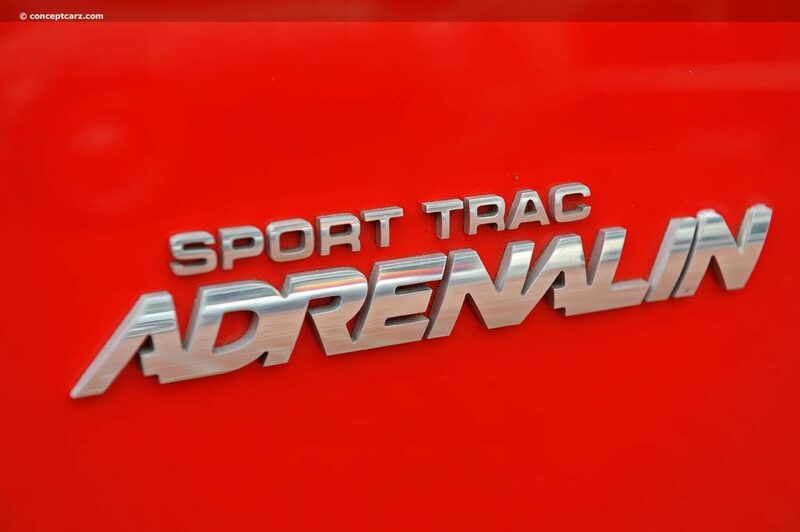 The Sport Trac Adrenalin’s power comes from a supercharged 4.6-liter, 32-valve DOHC V-8 engine derived from the 2003-04 SVT Mustang Cobra. 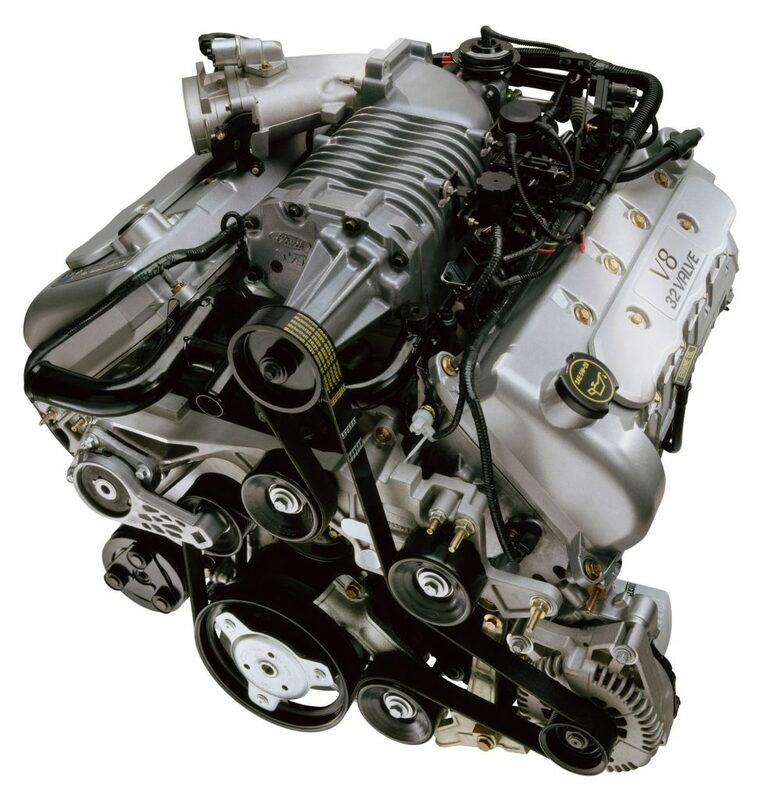 The engine produces 390 horsepower and 390 pounds-feet of torque. The Adrenalin concept also has a six-speed automatic transmission derived from the Lincoln Navigator — the first use of a six-speed automatic on an SVT vehicle. 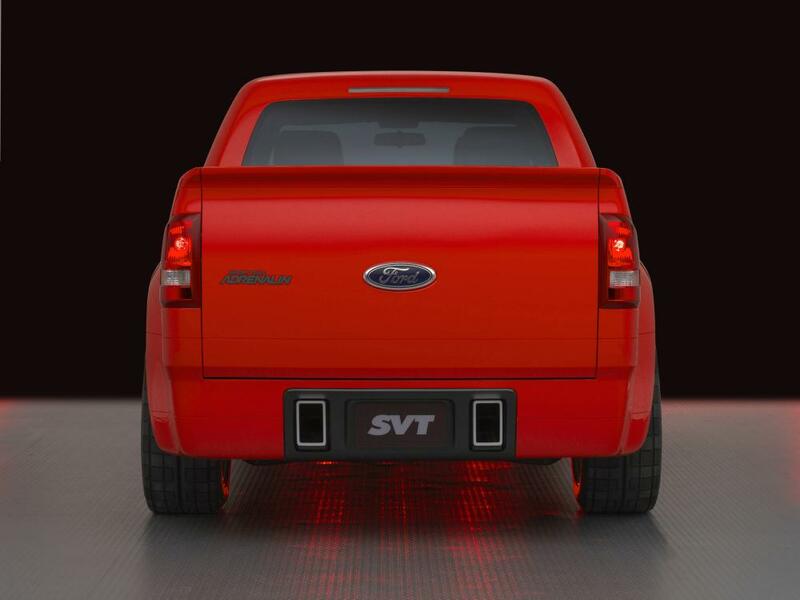 Another SVT first is a full-time all-wheel drive system that splits power 40/60 front/rear. To make sure no one confuses Adrenalin with a conventional Sport Trac, there are SVT signature fog lamps, stylized front and rear fascias, and an aggressive “black chrome” grille and grille surround with matching headlamp bezels. Inside, four bucket seats have more thigh bolstering. 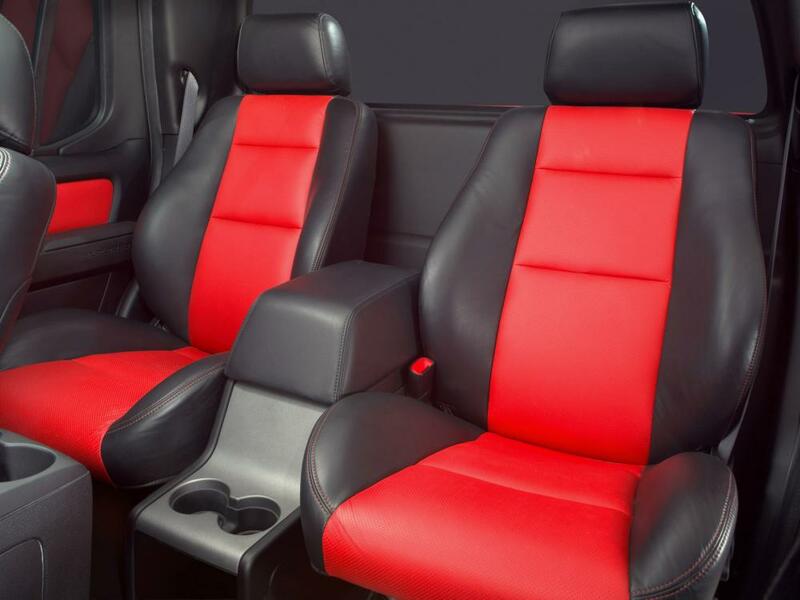 Unique red leather seat inserts match red leather interior door trim panels. The instrument panel has white-faced instruments, an SVT design hallmark. Adrenalin features short- and long-arm front suspension, and a trailing-blade independent rear suspension (IRS). 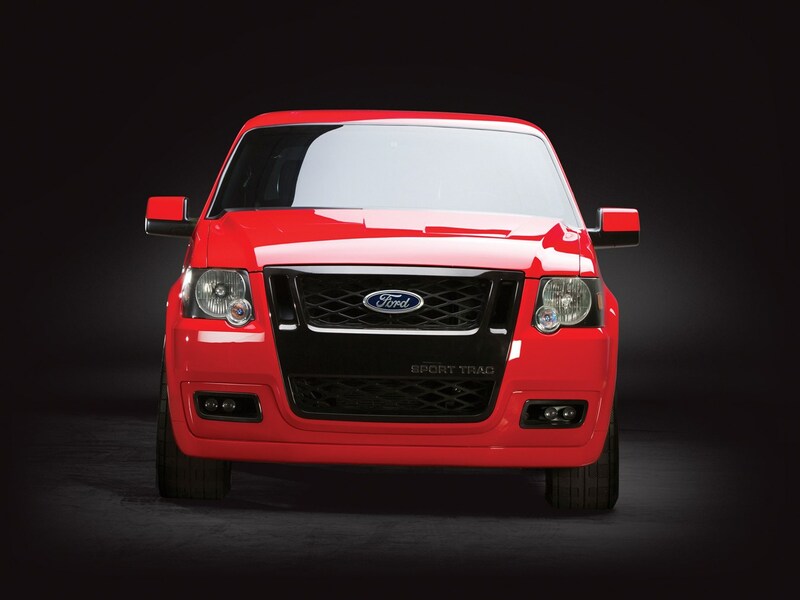 SVT-tuned shock and spring rates, as well as upgraded front and rear stabilizer bars, are designed, according to Ford, to provide more aggressive and more controlled driving dynamics. Performance isn’t the only draw. 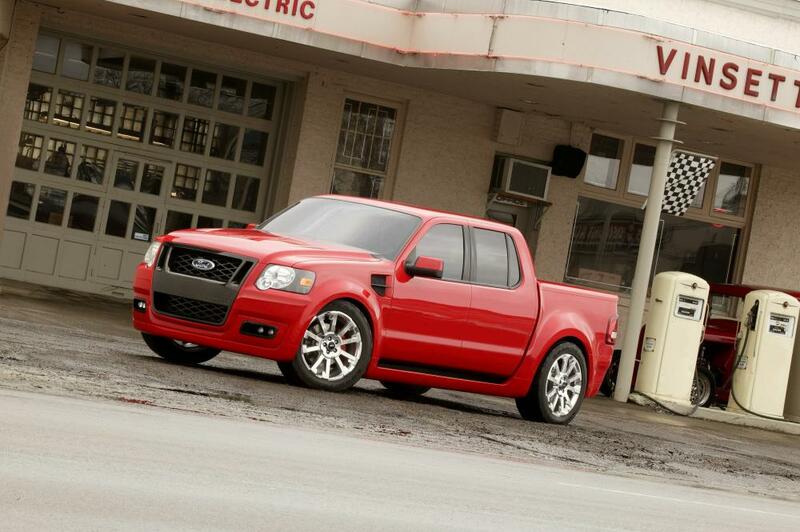 Engineers increased Sport Trac Adrenalin’s exterior by nearly five inches in length and two inches in width. 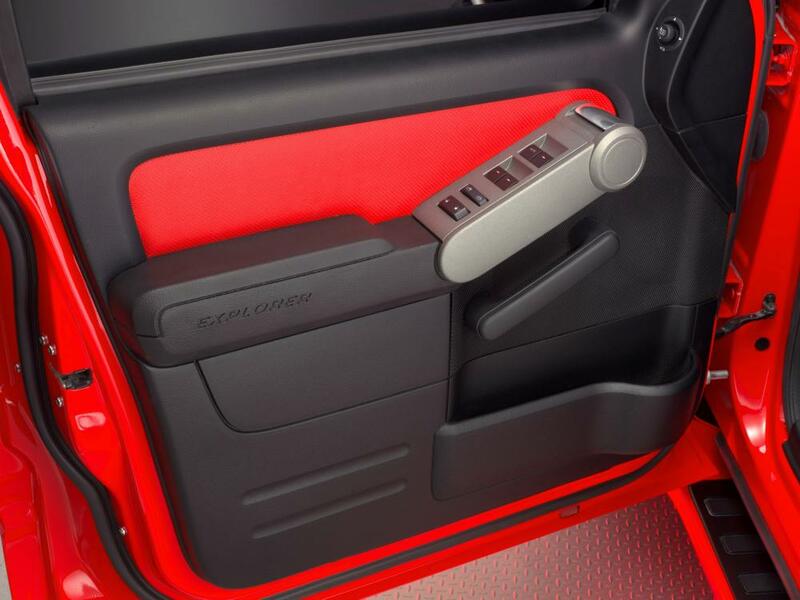 There is 30 percent more cargo space over a conventional Sport Trac, too, thanks to a wider bed and taller bed rails. Towing capacity is estimated at 6000 pounds. And like in any Sport Trac, there is seating for four, also making Adrenalin a practical vehicle for every day use. 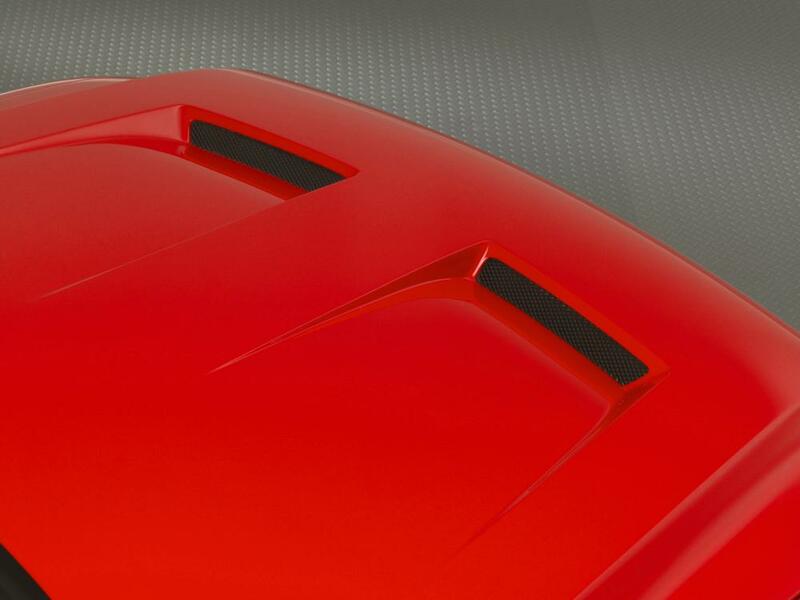 Square exhaust tips, integrated in the rear roll pan, are tuned to emphasize the bark of the 390-hp, supercharged Sport Trac Adrenalin. 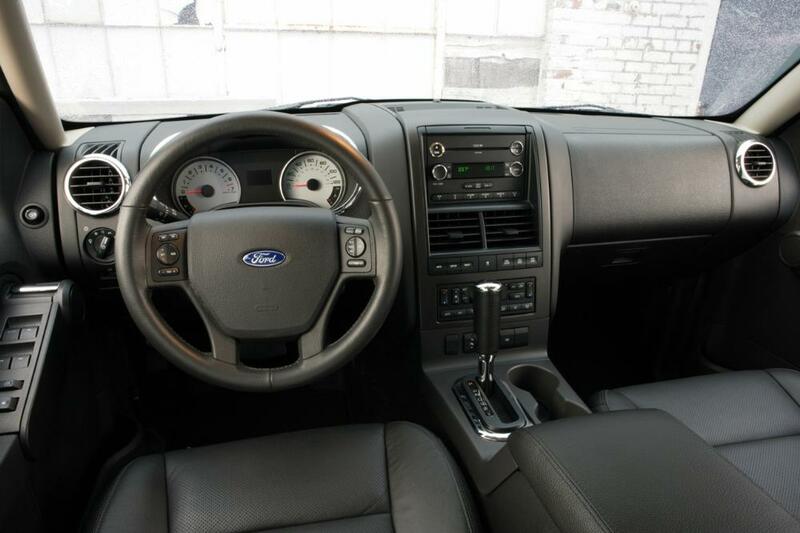 Adrenalin’s instrument panel houses easy-to-read, white-faced instruments, a design hallmark of Ford SVT. Adrenalin’s sporty yet comfortable interior invites spirited, long-distance driving in the world’s first high-performance sport-utility truck.